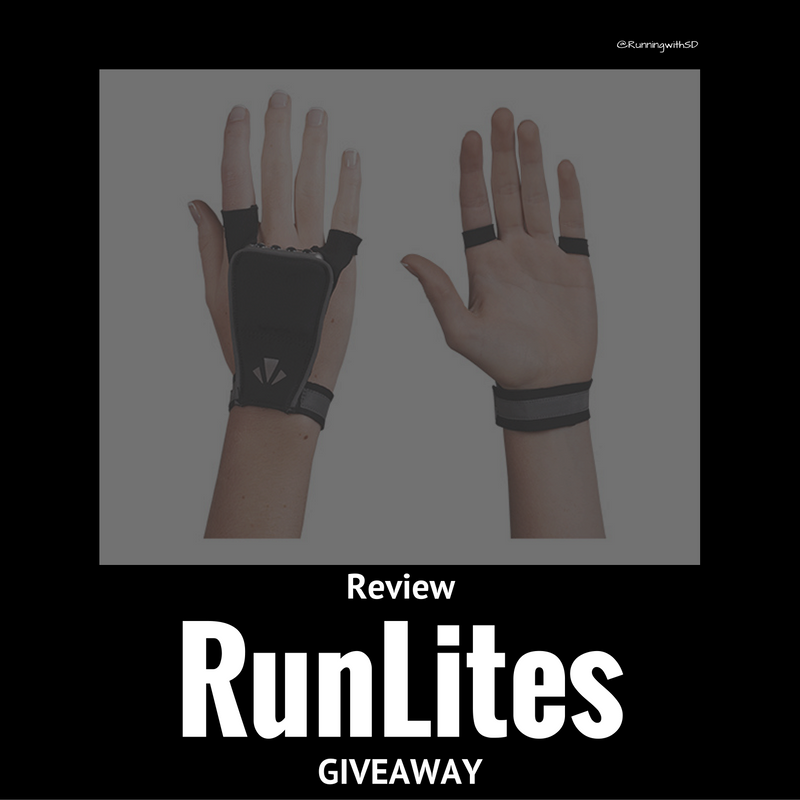 Running with SD Mom: Running in the Dark: RunLites Review & Giveaway! Disclaimer: I was sent a pair of RunLites Sling for review and giveaway purposes. I was not compensated in any other way. All opinions are 100% my own! I am about to tell you about a product I use a minimum of 2 times every single week. Mostly because I am an early morning runner. And by early morning, I mean 4:55a.m. Crazy or dedicated...I run in the dark most days! There are several reasons I run that early. Mostly I have to get to work by 7:00 a.m. and I need to get my run done. But the MAIN reason I run that early is so I can get my weekly fix of Angela and we run together before work and meet halfway. Yes, I will drive further than my commute to work just to see her at least once a week. And my RunLites Sling ($15.95) lights are so powerful, I am able to lead the way for both of us in the dark! The wrist strap is also reflective so you never have to worry about not being seen. And you can get the rechargeable LED lights ($19.99) to go with it. I love that I never have to worry about the lights burning out or the battery dying. I would say the battery has about a 5 hour life. How do I know this? Well, I recently had the awesome opportunity to pace Jenn & Vanessa to their 100K finish. In the dark. I don't know if you have ever done a race in the dark, but it is crazy, scary and exciting. Your adrenaline pumps hard! I used both my Sling and my RunLites Active Gloves at the same time. I didn't know how long we would be out there and I wanted to make sure I had enough light. So I love both the Sling and the Active Gloves. The slings are nice because they aren't a full glove and don't cover up your whole hand and make it sweaty. But the gloves are nice because they are warm and feel great on the cool mornings! I am giving one of you a chance to win a pair of Sling lights. All you have to do is enter on the Rafflecopter widget below. No purchase necessary. Void where prohibited. 1 winner will be selected via Rafflecopter. Open to Residents of the US only 18 years of age or older. Must have a valid email address. So tell me, how would you use the RunLites? What time do you like to run? Do you run in the dark like me? These are awesome! I saw a few runners this morning on my drive to work that could have used these - it was so hard to see them and they were not wearing any reflective gear! I prefer early morning runs. Today I woke my teenage son up for a 5:30 run. We got to enjoy the "hunter's moon" but the sidewalk was hard to see on some streets in the dark. These look very cool! Maybe added lighting for 100 mile races! Not a morning person so I tend to run in the evening, and with the days getting shorter the last half of my run is usually in the dark. I would use the RunLites in place of my light spurs, they tend to be very uncomfortable after a mile. Those are so neat!! I run in the morning too between 5 and 6 and with the dark morning now, these would be perfect!! I used to get up almost every morning and run, sometimes at 4 am. I rarely run alone in the dark anymore. I was attacked over 20 years ago very early in the morning and I have a hard time getting past that. I will run with my hubby in the dark though! I do run in the dark, typically around 4am or 5am on weekdays. This would be great to keep illuminated! I've tried light clips for my shoes, but they're uncomfortable, so I don't wear them much. I hate running in the dark, but I used to do it all the time before kid #2. Now the right of getting up early enough that it's dark, well, you know. I do almost all of my runs at 5:00am. I've seen yours and I love them! I love running late at night. No traffic. No people. It's quiet. Favorite time for my "therapy"! Given the fact that the sun doesn't come up until like 7 and sets as early as 630, I could totally use a pair of these! I am a morning runner. Usually it is pre-dawn in the winter months. These would be a huge help. I am awaiting the time change, which I love bc I hate running in the dark in the early morning. Indoor track season will be starting soon (I am coaching!) so I will be running at around 6ish every night in the dark soon!! I generally run around 8:30am. However, with my race schedule ramping up and the shorter days, I recently got caught in the dark on a twilight run. I would love to try these! I run in the dark probably 2-3 times a week, the other days are a little later. These look awesome, I typically use a headlamp but that means I need to wear a hat and sometimes I really don't want to. And sometimes they give me a headache! I run around 6 in the morning. I always run either in the early morning or evenings and now that it's getting dark so early these would be wonderful. 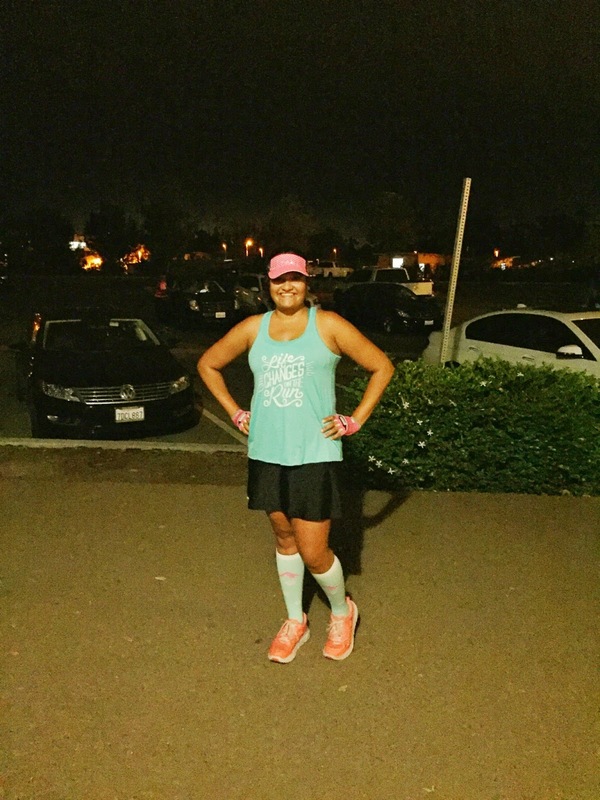 I run in the dark and really need new lights! I run at 5 a.m. two days a week. What a timely post! 😅 I run starting between 5:30 and 6, and I'd use the Sling Lights to light my way in those dark stretches on my long run. They'd also make it easier for my small group fun run to branch out and try different routes - I'd light the way for the group!. I have a headlamp (Costco special! ), but it's so bulky and heavy. It was so uncomfortable last weekend that I took it off and tried to put it in my water pack. That was not ideal. 😜 Thanks for posting this chance to win these, Smitha! They look fantastic! I usually run early in the morning. I am always a fan of anything that keep a person visible. I don't know how many times I've almost been hit even though I was fully covered in reflective gear. I run early morning and hate wearing a headlamp so I usually carry it, these would be great! i run at night a lot, especially in the winter. What a great tool! I have not been brave enough to run by myself at night or early morning, but if I did...when I do...I'd love a pair of these! 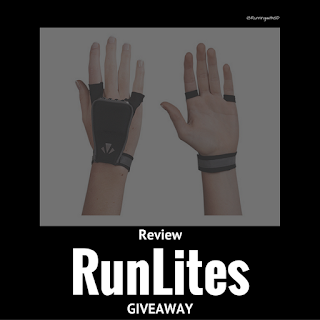 I mostly run indoors on my treadmill, but I walk my dogs at night, so I would love to try these gloves for that! I love running early in the morning before the neighborhood starts waking up. It's so quiet and peaceful. I would use the sling gloves to see better on my early morning runs! Oh my gosh! I NEED these! 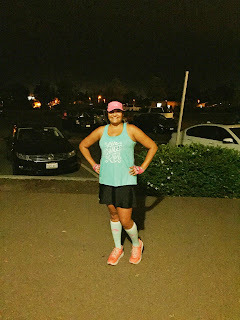 I just did a blog post about running in the dark, my encounter with skunks (on my dark morning runs), and being a big chicken! I run at 5:45, not quite as dedicated/crazy as your 4:55, but it is pitch black out this time of year and I HATE it! I prefer early morning runs in the dark. I think Run Lites would be better than my headlamp which tends to give me a headache. I often run in the morning because it's the most convenient time in my schedule. Plus, once I drag myself out of bed, I do enjoy that early run. Sets up the day right. These would be perfect, especially as with fall we've shifted to my whole morning short runs being in the dark before the sun even says hello. These would definitely help my early morning runs. I mostly prefer to run in the mornings too, and it's been getting darker more and more this fall! I'd wear them mostly on the early morning runs, or otherwise on my later evening runs if I had skipped the morning and didn't get out before it goes dark. It'll make me feel safer in some of the darker spots on my routes! I run in the evening. So about this time of year, that means running in the dark! I live in Arizona so the only time it's cool enough for me to run is when the sun isn't out! This would ease a lot of anxiety! I run at 4:45 am and I would love these! It's so dark in the morning this time of year!